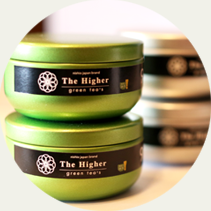 The kingdom of greet tea, Nishio, provides the best aroma and taste. Nishio City, where blessed with rich soil and river mist brought by Yahagi River, accounts for 30% of Japanese national green tea produce. It makes Nishio the Japan’s green tea city and its history dates back in 1271. Due to the numbers of breedings, improvements in its production line, and the ancestors’ efforts and passions, NISHIO-TEA delivers the depth of the green, fine aroma and its unique Umami. The quality of NISHIO-TEA has been well-acknowledged as well as its No. 1 production volume in Japan by Japan’s green tea industry. NISHIO-TEA is consumed not only in Japan but also overseas, and proudly found in many other productions such as snacks. NISHIO matcha (maccha) has been registered under “Local Brand” by Japan Patent Office. 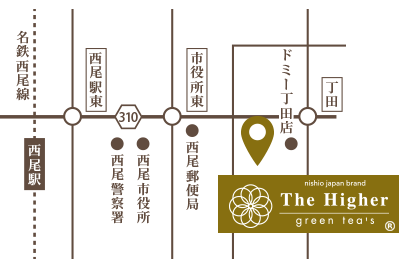 NIShIO matcha is the very first to be registered in Japan as matcha for Japan’s green tea category under ”Local Brand”. 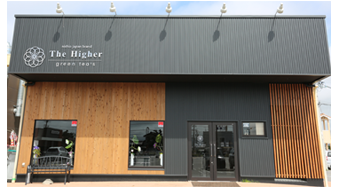 Café The Higher aims to deliver traditional yet modern, the brand new concepts of Japanese greet tea. 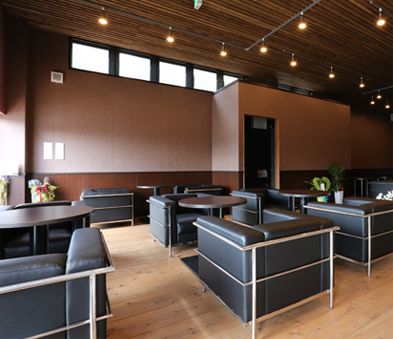 The furniture of Café were particularly chosen to provide the calming space. Providing various range of Green tea drinks and sweets. Take away (Take out) available. 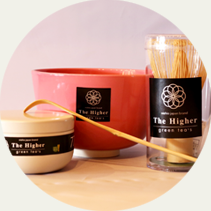 Rich and creamy popular matcha and old fashioned Vanilla. There are many NISHIO matcha products available for you at Café and online. 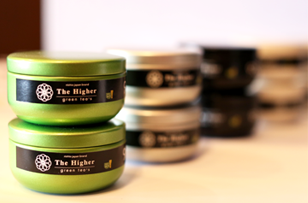 Café The Higher offers our original matcha and green tea to enjoy NISHIO matcha at home. 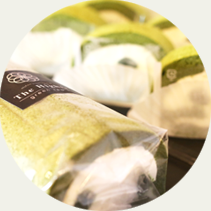 NISHIO matcha sweets are available at Café and also online. 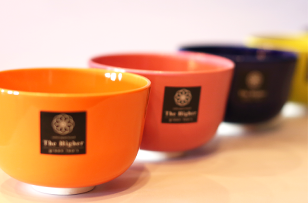 Café The Higher original tea ceremony set (kit) is available. Copyright (C)The Higher. All Rights Reserved.